There are no females starring in these movies. While this is sadly not unusual, it is striking that “Penguins” stars 4 brothers while Minions stars 3 male, um, what are they, clones? Are there any female minions at all? A minionette? They don’t show up in the preview. 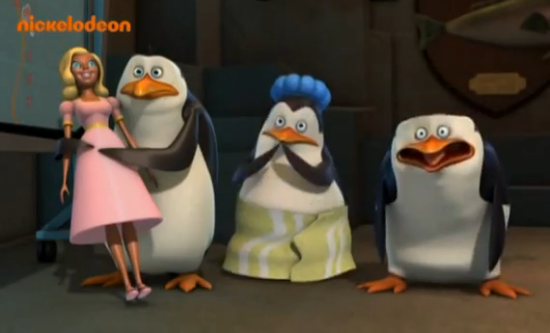 In the “Despicable Me” 1 and 2, I remember the males dressed as females for laughs, one in a maid costume ha ha ha. Can you imagine a movie marketed to boys and girls starring 4 sisters, not a male in the preview? Can you imagine a franchise built on hundreds of all female yellow banana goggle cyclops creatures? How do they reproduce? This entry was posted in Movies and tagged Despicable Me 3: Minions, Penguins of Madagascar by margotmagowan. Bookmark the permalink. Also, the penguins are brothers. How sexist of the mother to not give birth to girls!